The National Credit Council was set up in Dec-1967 to regulate the priorities of bank credit among various sectors of the economy. The National Credit Council appointed a study group on the administrative context for the implementation of social objectives in Oct-1968 under the Chairmanship of Prof. D R Gadgil. The study committee found the following points. Report was submitted on Oct-1969. The nationalized banks provide 83% of total credit. Out of 2700 towns banking facilities are available only in 617 towns. 5000 villages not covered by Commercial banks. Prof. D R Gadgil committee recommended the following points. Banks should provide integrated banking facilities in unbanked areas. Adoption of ‘Area Approach’ – in unbanked areas –each bank should adopt an area. Help Agriculture & Supplemental Security Income (SSI). ‘District’ identified as the smallest geographical unit for the scheme. Eradication of unemployment and under employment. Considerable rise in the standard of living for the deprived of the poor. Provision of some of the basic needs of the people who belong to poor sections of the society. To analysis the resources & potential for banking development by identifying unbanked centers in the allotted districts. To identify the industrial & commercial units which do not have bank accounts or depend mainly on money lender. To identify & study local problems. To set up branches in a phased manner. To keep contacts & liaison regularly with government & semi-government agencies. To provide assistance to the primary lending agencies. Spread the availability of banking facilities all over the country. Interlink the commercial & co-operative banks. Better relationship b/w government & banks. Integration of credit activities of banks. This scheme would assist in implementation of District Plan. It was implemented in 1974. It consists of technically & economically viable schemes which can be taken up for financing. It is a plan of bankable schemes in agriculture, industry & services sectors of the district. Implement the program in collaboration with other institutions. Monitor progress & evaluate progress in achieving targets. By 1974 –90% of geographical areas in Assam, Bihar, West Bengal, Orissa, Madhya Pradesh, Uttar Pradesh was covered. The study committee appointed by RBI in Gujarat & Maharashtra concluded the following points. Lead Banks were successful in identifying potential area for new branches. Formulation & implementation of DCP’s was slow. They suggested preparation of Annual Action Plans followed by Annual Credit Plans (ACP’s). 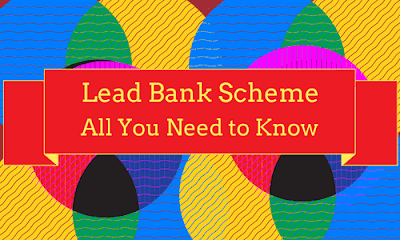 By mid 90s, the lead bank scheme covered 493 districts. There is a confusion regarding the concept of ‘Lead Bank’ especially for opening branches –ambiguous scope & objectives. Lag in Co-ordination & effective functioning b/w banks & financial institutions. Problems in allotment of Districts. Problems in preparation & uniformity of DCP’s. Did not consider the role of Co-operatives which is the important source of institutional finance.